We are a Chinese Medicine Clinic close to inner City Brisbane in Woolloongabba. We provide multi-service, including Acupuncture, Electro-Acupuncture, Chinese Herbal Medicine, Moxa, Cupping and Massage Therapy. How many years history does Traditional Chinese Medicine have? Traditional Chinese Medicine (TCM) is a broad range of therapy practices sharing common theoretical concepts which are based on a tradition of more than 2,500 years. What does Trditional Chinese Medicine include? It includes various forms of Acupuncture, Chinese Herbal Medicine, Massage (Tui Na). In TCM, disease is generally perceived as a disharmony (or imbalance) in the functions or interactions of , yin, yang, qi, blood, organ, meridians etc. and/or of the interaction between the human body and the environment. TCM diagnosis consists in tracing symptoms to patterns of an underlying disharmony, mainly by palpating the pulse and inspecting the tongue. Therapy is based on which “pattern of disharmony” can be identified. Acupuncture and Moxibustion, guided by the theory of Traditional Chinese Medicine, applies needling and moxibustion to points on the human body to regulate the functions of organs, meridians, and qi and blood to prevent disease and assist body with acute or chronic diseases. Has Acupuncture been Regulated in Australia, Brisbane? Yes. Acupuncture became a health profession registered at the Australian Health Practitioner Regulation Agency (AHPRA) in July 2012. Acupuncture is a unique personal experience, everyone reacts differently to the needle insertion, but for most individuals it is virtually painless. The needles used for acupuncture are solid and extremely fine – much thinner than those used for injections and blood drawing. When the needles reach the acupuncture points, there is a sensation that could be described as soreness, numbness, heaviness. Sometimes the sensation may transfer to other parts of the body. That is produced after the needle is inserted, it’s called ‘the arrival of qi’. Our Acupuncture needles are typically made of stainless steel. They are sterile and single-used. We only use those needles to ensure the safest acupuncture treatment we apply possible. Moxibustion is a therapy in which burning moxa is used to produce a heat stimulation to human body. It is normally applied with acupuncture. Cupping is a therapy in Which a jar is attached to an area of skin surface to cause warm stimulation. This is achieved by through the removal of the air in the jar created by introducing heat in the form of an ignited material. What conditions can Acupuncture work for? Large quantities of clinical reports indicate that Acupuncture and Moxibustion has a variety of effects in helping 300 kinds of diseases of internal medicine, surgery, gynecology and pediatric. Among them, about 100 kinds of diseases have good or excellent therapeutic effect. 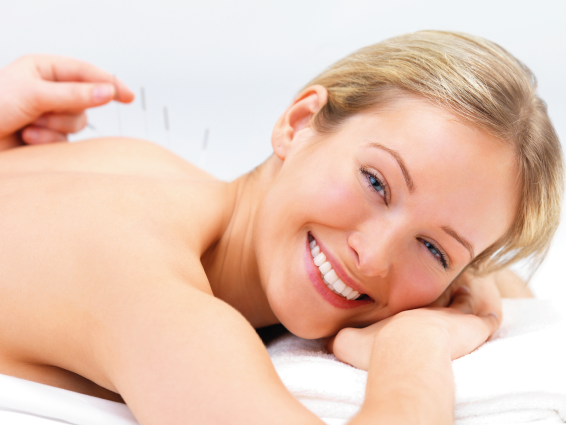 What can our Acupuncture & TCM help you with?